Hey everyone... WOW ! Want a new Subaru, check this puppy out ! Last edited by Fire Side; 05/28/13 03:13 PM. That is a sweet car for sure ! 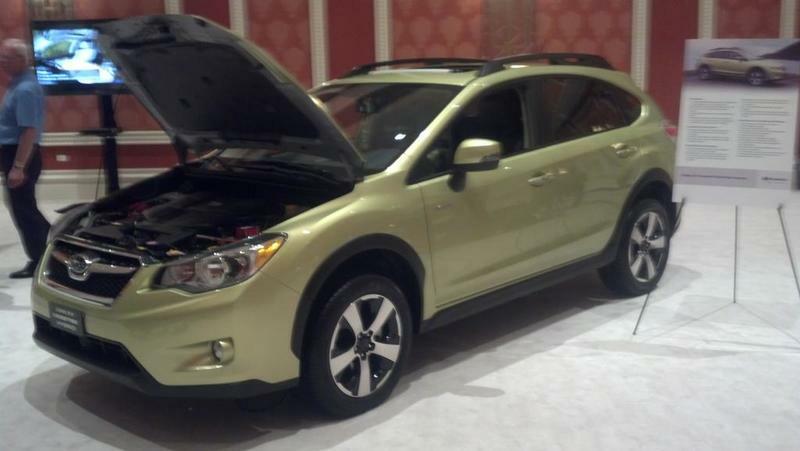 The XV Crosstrek gains a hybrid drivetrain for the 2014 model year. The XV Crosstrek hybrid comes with all-wheel drive, which is common for a Subaru but rare among hybrids. Designed with the foundation of Subaru engineering, the all-new 2014 XV Crosstrek Hybrid offers the control and balance drivers expect from a Subaru vehicle, along with an earth-conscious attitude. The SUBARU BOXER® engine provides a low center of gravity for agile handling. Subaru Symmetrical All-Wheel Drive flows power to all wheels for a constant grip on the road while still giving you great fuel efficiency. Best of all, it's an Advanced Technology Partial Zero Emissions Vehicle, making it the most fuel-efficient, lowest-emission AWD hybrid crossover in America.